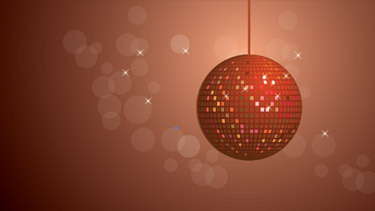 Let’s have a look at how you can create a disco ball using simple techniques. Make a new document. Create a rectangular shape. 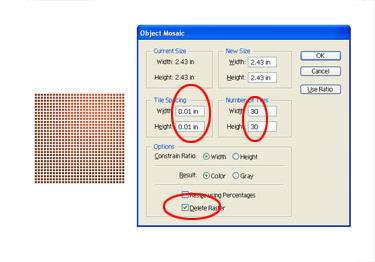 The one I chose is of 175*175px. Fill the shape with bright radial gradient. You need to rasterise the image. 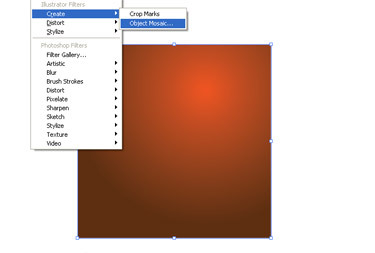 For that, go to Object-Rasterise in the top menu and click OK without changing anything else. Broaden your rectangle a little (~150%). Wow you have got a nice mosaic. Now you have to reduce the size of the image back to 175*175px. Pick the rectangle and drag and drop it in the Symbols panel. Make a circle. The one I made is of 175*175px. Create a copy of the circle. 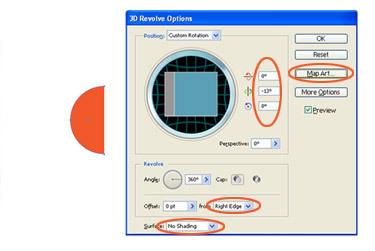 Using the Direct Selection Tool (white arrow) delete the left anchor point of the circle. We will need the full circle later on so don’t delete it. 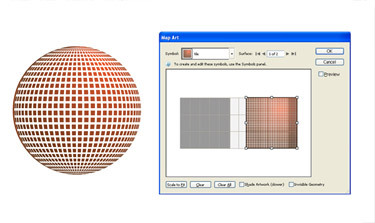 Navigate to Effect-3D – Revolve. Change the numbers at the place indicated in the picture below. Convert the Surface to “No Shading” and move on to the Map Art. From the Map Art window’s drop down menu select the mosaic symbol we created earlier. You can increase or decrease its size. Navigate to the Object – Expand Appearance. Now we have to delete all the unwanted things from the picture. 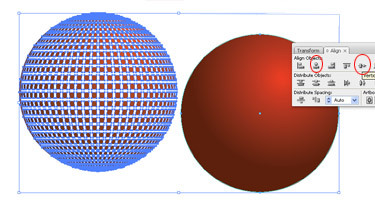 Choose the sphere and press Ctrl-Shift-G three times. 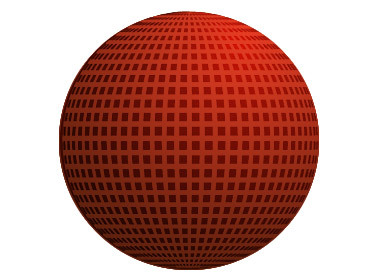 Then click on the sphere and move it to another side. Select and delete the unwanted stuffs. 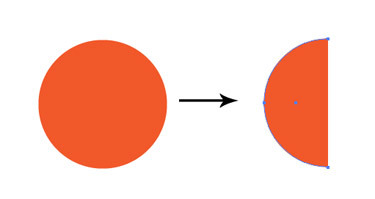 Now select the circle we made earlier (the one we kept aside before creating the 3d effect). Fill that circle with similar radial gradient. Place it under the mosaic (Ctrl + Shift + [ ). Using the align panel (Shift+F7) align them. Release the Clipping Mask and Ungroup tiles (Ctrl+Shift+G). It’s time to bring your imagination to the front to make the ball look more shinny and real. 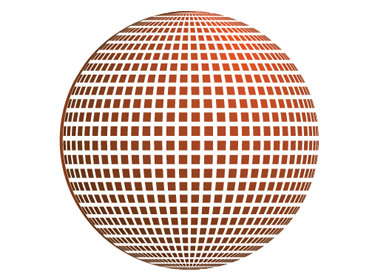 Select some of the tiles in the lightest area of the ball. 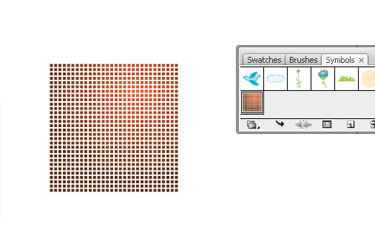 To highlight the tiles navigate to Live Colour (Edit-Edit Colours- Recolour Artwork). Click on Edit (1), then Link Harmony Colours (2). Increase the Brightness to maximum (100%). 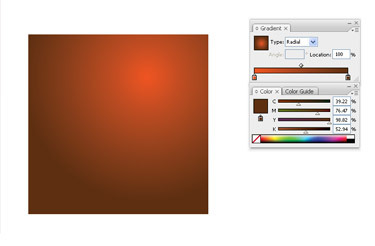 Decrease the saturation to 30-40% or more/less depending on the colour you chose. Choose another tile. 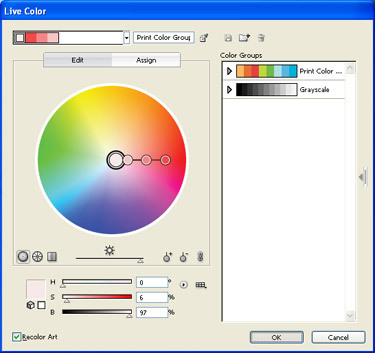 Go to Edit colours again and experiment with the colours (make them darker or lighter. 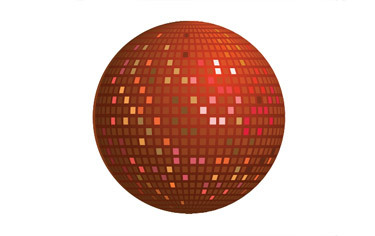 Try not to change anything else than Brightness and Saturation unless you want the disco ball to be more colourful. Repeat the action until you arrive at a good result. Let’s add some sparkles to the disco ball. With the Star Tool (see numbers for use below) draw a 4 points star. Scale it to 50%. Copy and paste it in front (Ctrl+F). Then rotate it 90 degree and again scale it to 50%. 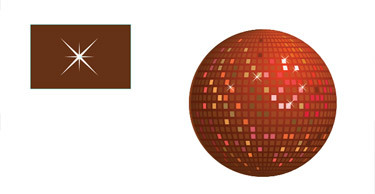 Place the sparkles on the highlighted area of your disco ball. To give it a more effective look, add a holder. A simple rectangular with gradient fill will do. And your disco ball is ready.